Recently, Showcase caught up with Hill Chiropractic to discuss the importance of chiropractic health. Most people don’t realize that chiropractic has been around since 1895 and is the third largest healthcare profession in the world. The primary focus of treatment includes the neuromusculoskeletal system (nerves, muscles, joints) affected by issues such as disc bulges and herniations, low back and neck pain, sprains and strains, sports injuries, shoulder and knee pain, headaches/migraines, and many others. Chiropractors take a “hands-on” approach utilizing massage, manual traction, joint manipulation and mobilization. In general, the treatment typically feels good and patients look forward to the process. In many cases, such as treating low back pain, neck pain or headaches, chiropractic care may function as the primary or only treatment that is needed. However, when other medical conditions co-exist, combining chiropractic with other medical treatments is often better than either one by itself (depending on the condition). Doctors of chiropractic commonly refer back and forth with medical and osteopathic doctors, creating a “win-win” for the patient and providers. Those who have never been to a chiropractor may be skeptical or even have strong feelings against trying a chiropractor; however, it is important to note that extensive research has been published on the effectiveness of chiropractic. What is really amazing is that many hospitals, medical clinics and VA facilities have integrated chiropractic into their healthcare systems. Medicare has included chiropractic coverage since the 1970s and most private insurers include chiropractic coverage due to the significant volume of research reporting the benefits, cost savings, and patient satisfaction. Why should someone see a chiropractor? Over the last 20-30 years, the research conducted on chiropractic has shown this form of healthcare to be either equal or even superior to other forms of healthcare for low back and neck pain, headaches, and other conditions. Chiropractic care is extremely effective, safe, and affordable in comparison to other healthcare treatments. It can help patients prevent negative side effects of long-term prescription drug use and, in many cases, avoid surgeries. Are there age restrictions for seeing a chiropractor? NO. From newborn babies to seniors, chiropractic is for everyone. Dr. Hill treats babies who have colic and reflux to toddlers and kids with ear infections or bed wetting issues. He helps the teen athlete who was injured on the field or in dance class, the mom with neck and shoulder pain, and the dad with low back issues. And let’s not forget the many men and women struggling with degenerative disc disease and arthritis! Chiropractic care is actually quite gentle, and patients of all ages benefit from it. What steps does someone have to take to become a chiropractor? Did you know that a chiropractic student completes the same classes as medical [students], differing only on the methods used in treating [conditions]? Those who want to pursue a career as a chiropractor need to be tenacious and passionate. Currently, candidates for chiropractic school must have at least 90 undergraduate semester credit hours with specific course requirements that include: Physics, Biology, Organic and Inorganic Chemistry, Psychology, English, and Social Studies or Humanities. Ninety credit hours is equivalent to three undergraduate academic years and is the same minimum requirement for medical or dental school. Upon completing these undergraduate requirements, a student can enter chiropractic school where they complete another four years of study as well as an internship at the end. After achieving a Doctor of Chiropractic Degree, you need to acquire a license to practice. In the US, depending on which state you want to practice, you must pass multiple tests required by the National Board of Chiropractic Examiners. Many states, require taking state boards in addition to passing national boards. Like any health-related career in the US, licensed Chiropractors are required to take continuing education training to keep their license in their state. The state of Virginia requires Chiropractors to complete 60 hours of continuing education every two years. 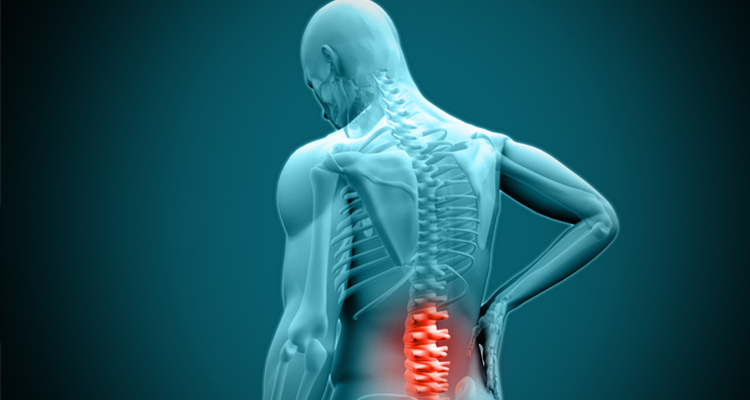 Are chiropractic services limited to just helping someone’s back? Absolutely not. As you have read thus far, chiropractors treat a number of issues in the body. Chiropractors look at the whole body, including the nervous system which controls every organ and system. Many patients report improvement in issues you would never initially think a chiropractor could help: acid reflux, heartburn, digestive issues, sinus congestion, carpal tunnel, TMJ, ear infections, muscle imbalances and so much more. Do I Need Emergent Care or Urgent Care?